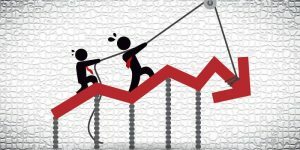 The Housing and Mortgage Market Review (HaMMR) by Arch Mortgage Insurance Company has found that Housing Market Trends are now nearly the complete opposite of conditions in the months prior to the Great Recession, according to Dr. Ralph G. DeFranco, global chief economist for Arch Capital Services. Franco further states, that the quarterly Arch MI Risk Index, a statistical model based on nine indicators of the health of local housing markets, suggests that the probability U.S. home prices will be lower in two years is 9 percent, an increase from 6 percent in the previous study. 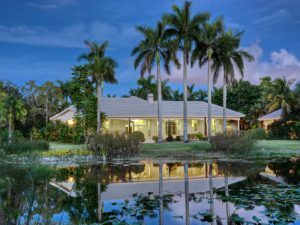 In Florida, an Arch index infographic suggests that Florida home values have only a 6 percent chance of declining in two years. However, a higher risk (25 percent) in Miami suggests the chances are even lower in the rest of the state. Fort Lauderdale is known as the Venice of America. It is truly a waterfront paradise. As you explore the cities many canals you begin to realize the unique status it holds. 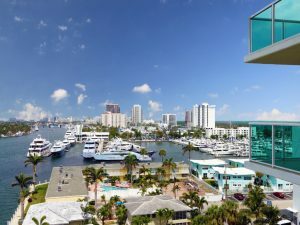 To see the center of Greater Fort Lauderdale from an completely new perspective, including the fabulous mansions and mega-yachts of Millionaires’ Row, cruise the New River around Tarpon Bend on one of the charted cruises available. The handsome marinas of the Intracoastal Waterway are in full view and give boaters stunning views in all directions. If you follow the water west, the meandering Middle River gives you the chance to take in the area at your own pace using perhaps a kayak or on a paddleboard. You can take your pick of scenic waters to explore. If you want to explore at a faster pace rent a jet ski and power your way around the waterways to find your own favorite spot. If you would like to dine on the water front Fort Lauderdale most assuredly can accommodate you wishes. 15 Street Fisheries is one of South Florida’s most popular waterfront restaurants for nearly forty years offering 2 types of dining. Its award-winning cuisine upstairs, served in a charming suite of nautical-themed dining rooms, and the ever popular casual family fun found downstairs featuring lunch, dinner and drinks in an open-air, dockside setting, the Fisheries is extremely popular with locals and visitors alike. Adults and children alike enjoy walking the boardwalk and feeding the fish. Blue Moon Fish Company is Chic waterfront restaurant located on the Intracoastal Waterway serving creative fresh Florida cuisine. Deco-inspired exterior, contemporary American menu. Gospel brunch on Sundays 11:30am every Sunday $30, includes one bloody mary, mimosa, or champagne. Spent a fabulous Sunday afternoon eating Brunch in the garden of Louie Bossi’s Italian Ristorante, Bar and Pizzeria Fort Lauderdale. Bossi’s is known for excellent Italian cuisine. You can choose from varied homemade pastas, Neapolitan style Pizzas and home cooked Sicilian Comfort food and the Chef’s House cured salumi. 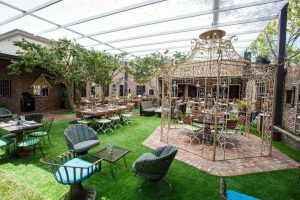 Seating accommodations are either inside or outdoor patio seating facing the famous Las Olas Blvd and my favorite, the back yard garden with Bocce court. Parking on Las Olas or behind the restaurant or valet park. Would you like to update your current property value or your neighbors? 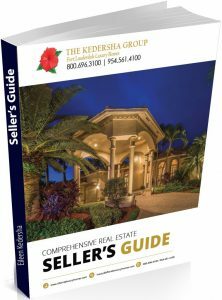 Just click Home Valuation Report! Experience the beach with gardens and sea, exquisite dining and unparalleled service. Easily discover why the beach here is just the beginning of many fond new memories. Set along countless miles of soft white sand at the edge of the Atlantic Ocean on a barrier island, Sunny Isles is the jewel of South Florida’s internationally renowned coastline. Just a few minutes from the tony shopping destinations in Bal Harbour and a short distance from the excitement of South Beach and Downtown Miami, it is also a world apart defined by relaxed sophistication. Read Full ArticleNearby, The Shops at Bal Harbour offers a truly luxurious collection of the world’s finest fashion, fine jewelry, and designer home boutiques along with cafés and formal and casual restaurants. Other top dining destinations just minutes away offer fine Italian, Asian, and American cuisine. Residents who wish take full advantage of the tropical seaside lifestyle will discover ample opportunities for snorkeling, swimming, windsurfing, and sailing. Private high-speed elevator access to most residences. 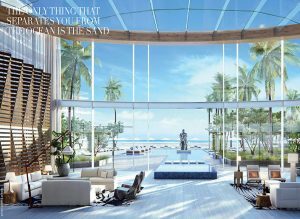 Breathtaking Atlantic Ocean and city views through floor-to-ceiling windows. Eight-foot-high double-door entry to a spacious foyer in select units. Expansive 10′ deep private balconies with glass railings in all residences. Summer kitchen with under-counter refrigerator in all residences. Recessed lighting in select corridors and bathrooms. Intelligent climate controls with digital thermostats. Large capacity full size washer/dryer in all residences. Smart building technology provides seamless access to select building amenities. All residences pre-wired for audio speakers as well as motorized drapes and programmed lighting controls in select locations. Elegant imported stone counter-tops and back-splashes. His and hers bathrooms in select residences. Spa-inspired shower with wall-mounted handheld spray and large rain-shower. High-performance toilet with integrated bidet technology. Stone-topped vanity with designer fixtures. 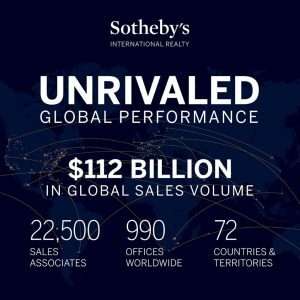 In the United States, the Sotheby’s International Realty brand achieved more than $100 billion USD in 2018 sales volume. 2019 continued significant growth by the brand’s existing affiliate companies through talent attraction as well as mergers and acquisitions. Most notably, the brand increased its market presence in Essex and the Acton-Boxborough area of Massachusetts; Greater Portland, Oregon; and Nashville, Tennessee. The brand also entered several key new markets last year, namely, Bandon, Oregon; Huntsville, Alabama; the Sandhills Region of North Carolina; Mendocino, Fort Bragg, and Ventura, California. With the launch of new technology and tools, Sotheby’s continues the tradition of always aiming to provide industry-leading levels of service that sales associates affiliated with Sotheby’s International Realty around the world are known for. The TIMELY Filing Deadline is Approaching! for any 2019 exemption — if you miss the March 1 timely filing deadline — is September 18, 2019. State law (Sec. 196.011(8), Fla. Stat.) does not allow late filing for exemptions after this date, regardless of any good cause reason for missing the late filing deadline. 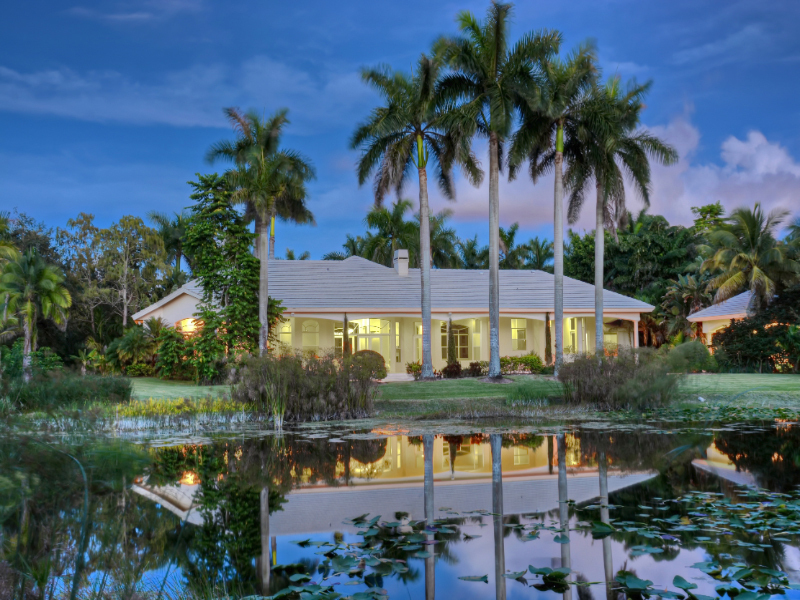 The basic homestead exemption saved a Broward homeowner in 2018 anywhere from $658.60 to $1,035.30 (depending upon your city’s millage rate) in annual tax savings for all homes with a value of $75,000 or higher. Homeowners are entitled to a Homestead Exemption if, as of January 1st, they have made the property their permanent home. By law, January 1 of each year is the date on which permanent residence is determined. Homeowners may file for Homestead ONLINEby going to bcpa.net in Broward County, and clicking the large yellow button in the navigation menu on the top left side of the page. Homeowners may also file by visiting the Property Appraiser’s office at 115 South Andrews Ave, Room 111, Ft. Lauderdale or at one of the County’s community outreach events, (visit BCPA.net website for calendar dates and locations). When filing an application you must bring the following items listed below. To claim 100% coverage, all owners occupying the property as Tenants in Common (i.e., proportional share co-owners) must file in person on jointly held property. In the case of a husband/wife (“Tenants by the Entirety”) or Joint Tenants with Right of Survivorship (“JTRS”), any one owner may qualify for 100% coverage — although it is always highly advisable to have all eligible owner-occupants to file. In general, the recorded Deed or Co-op Proprietary Lease must be held in the name(s) of the individuals applying for Homestead. 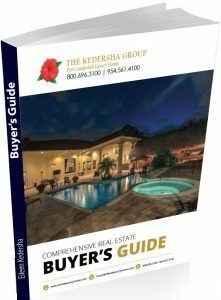 You do not need to bring a copy of the deed or co-op lease if the document has already been recorded in the Official Records of Broward County. If the PROPERTY IS HELD IN A TRUST, WE ALSO NEED EITHER A NOTARIZED CERTIFICATE OF TRUST ORA COMPLETE COPY OF THE TRUST AGREEMENT. Note: Most taxpayers prefer to use the simple Certificate of Trust form, instead of submitting the entire trust for our review, as it better protects the privacy of your estate planning and other financial matters. (or an equivalent permanent residency-based exemption or tax credit, such as New York’s “S.T.A.R.” exemption) on another property you also currently own, you will NOT be eligible for a homestead in Broward until after you surrender the exemption in that other jurisdiction. If you maintain an exemption on another property elsewhere it is FRAUD! This information was taken from the BCPA. net website.